Text messaging is no longer just another way to connect with one another; it has become a cultural phenomenon. Parodies on television of teens and tweens texting to one another while in the same room are funny because we can all imagine our own children doing the same thing. We’re asked to text in our vote to American Idol. Barak Obama won the White House, in part, because of his team’s ability to engage young voters via text messaging. The Pew Internet & American Life Project recently confirmed what every parent with a teenager already knows – texting has become the preferred channel of basic communication between teens and tweens and their friends. 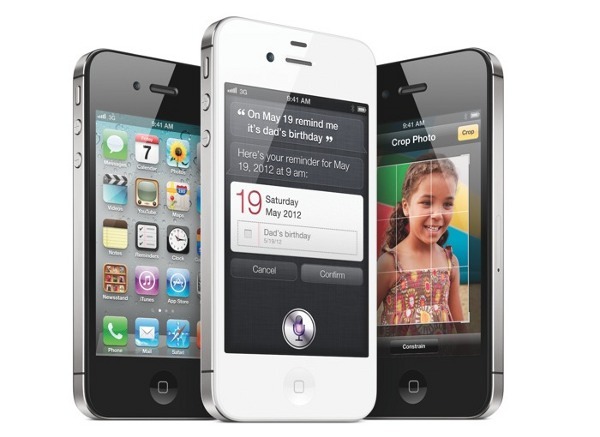 Sending a text message is similar to passing a note in class – it is a discreet method of communicating with friends. For parents and educators, it is this last statement that represents a challenge. Let’s start with the obvious. Why did we pass notes in class when we were kids? If we’re being honest with ourselves than we can acknowledge that we were communicating something that we either didn’t want others to hear or we shouldn’t have been communicating at that particular moment at all. Passing notes in class was our attempt at convert communications. Text messaging has many benefits, it is here to stay and most text messages our children send or receive represent perfecting acceptable content. I have nothing against text messaging. 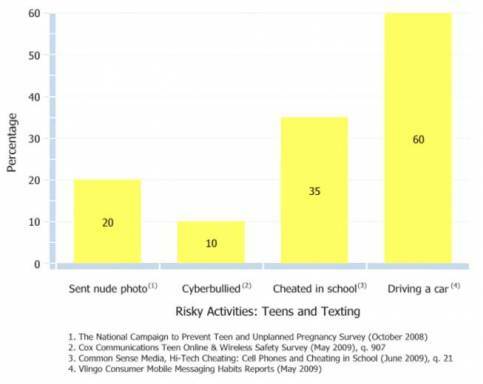 That said, this chart illustrates, a staggering percentage of our children admit to using text messaging inappropriately. Perhaps even more alarming is what Local, State and Federal law enforcement is seeing as a skyrocketing trend. Child predators are now increasingly using text messaging to communicate directly with our children often right under our noses. Predators are always going to go where the children are and the preferred method of communication by kids is text messaging. Risks and threats to our kids’ well-being have been a part of life since the beginning of time. But it is important for us to accept a very simple truth – texting messaging and kids can be a risky combination without active parental involvement. While the smart phones are capable of sending long text messages, less advanced mobile phones can only accommodate messages of 160 characters. This limitation naturally led users to try to use the fewest number of characters possible to convey a comprehensible message. To cut the character count of a text message, users often use abbreviations and ignore punctuation and traditional grammar. For words which have no common abbreviation, users commonly remove the vowels from a word, or use pictures or a single letter or number to represent whole words. Eventually entire phrases were reduced to acronyms. Today, text lingo (also known as SMS language, Textese, chatspeak, chat lingo or net lingo) is a commonly used and well understood language by most teens and, to a lesser degree, technology-savvy adults. Surprised? Stunned? 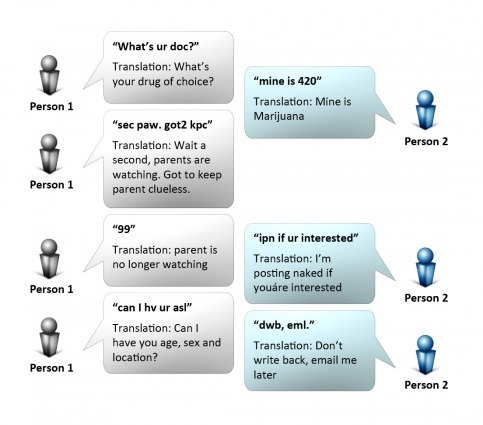 As this conversation illustrates, text lingo is not only more efficient than writing out entire messages, it also makes it possible for some pretty troublesome conversations to take place right under our nose. Kids and child predators alike are able to engage in conversations that few parents would be able to understand. Text lingo has become so mainstream with kids that it is now used in email, on social networking websites and when chatting with instant messaging services like AIM® and Yahoo Messanger®. Whether we’re talking about text lingo, the traditional written word or picture our kids put online, the best tool at your disposal to decrease risky behavior is your active involvement. The earlier we start talking to our children about the decisions they make online and with their mobile phone the better. Our children need to understand what our expectations are and what we consider “out of bounds”. Most children, teens included, say that their parents are the strongest influencers over the decisions they make. Just because we don’t speak in text lingo doesn’t mean that we cannot talk to our child about using the language appropriately. Text messaging and text lingo are going to be a part of our kids’ life long into the future just like social networking, having a bank account, using a credit card, driving a car, etc. With consistent guidance on text messaging and text lingo from mom and dad, you have every reason to expect that mistakes will be less frequent and less severe.